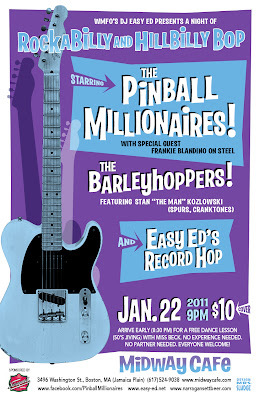 The first 2011 episode of “Easy Ed’s Variety Hour” will air this Friday (January 7). Tune in for TWO hours of Rockabilly, Hillbilly, R&B, and Rock ‘n’ Roll. In keeping with the new year, all songs on this week’s show will be “new,” in that I’ve never played any of them on previous episodes. I’ll also be giving away a pair of tickets to a very cool event coming up on January 22. Can’t listen live? Visit www.easy-ed.net for archived episodes. Next Wednesday (January 12) I’ll be the guest DJ at River Gods in Cambridge for Primitive Sounds night, alternating sets with hosts Jason Beek and/or fellow ‘MFO DJ P.J. Eastman. The music (rock ‘n’ roll, blues, old country, rockabilly, and more) starts at 9:00 PM. Hope to see you there! 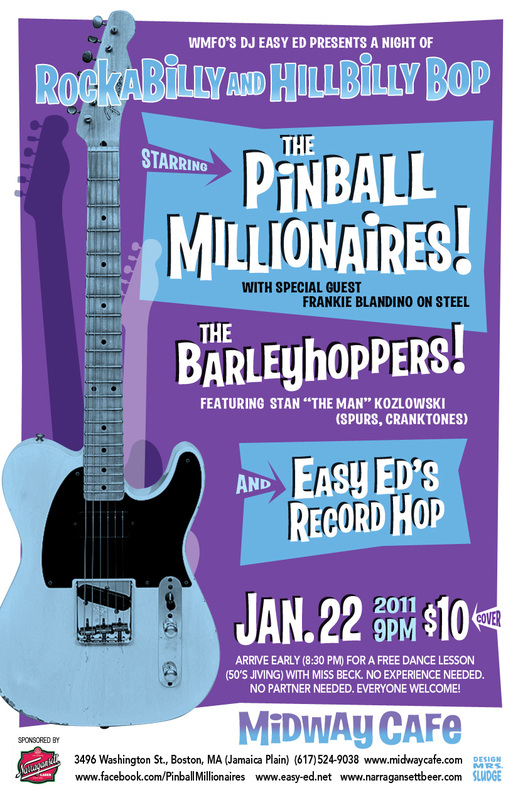 January 22: Mark your calendars for a terrific event that's guaranteed to rock away your January blues: WMFO’s DJ Easy Ed presents a night of Rockabilly and Hillbilly bop, starring the sensational Pinball Millionaires. These guys play rockabilly and hillbilly bop the right way and are a big hit with the dancers! As a special bonus, Frankie Blandino (Spurs/Fathoms/Cranktones) will sit in on steel. 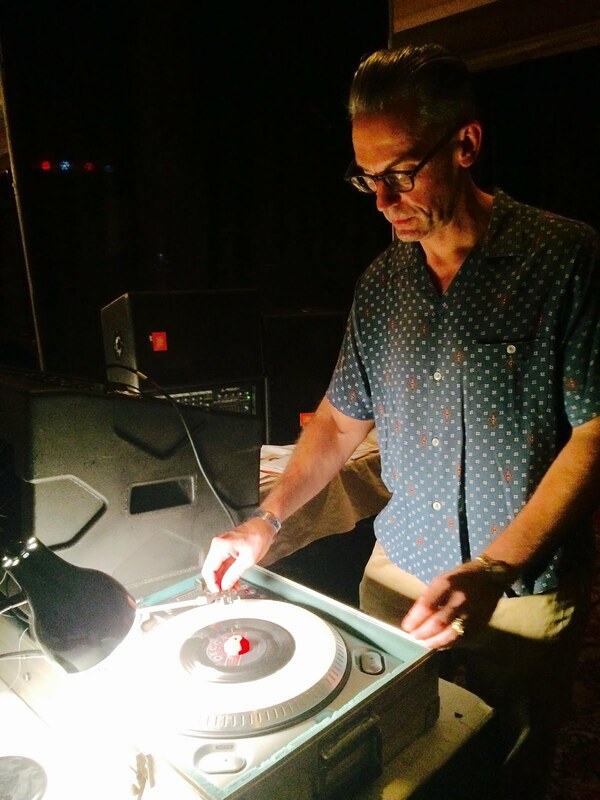 Throughout the night, Easy Ed’s Record Hop will keep your toes a tappin'.